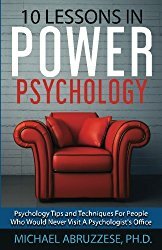 Now You Can Get The Book…even if you can’t get to a psychologist! Using psychological knowledge can improve your life. These TEN LESSONS, written in commonsense, everyday language for older children and adults, is a short book meant to be read and used. It provides the psychological information readers need to help overcome obstacles and exceed expectations with just FOUR STEPS. You can read a chapter and start using the information immediately! How great is that? – Marc A. Whaley, M.D. This radio program, on NPR’s The Point, with host Mindy Todd, won an AP and a PRINDI award.Dr. A. appears with Mindy and Psychiatrist Dr. Marc Whaley.